"I have a list of names that correspond exactly to the tips of a phylogenetic tree. What i'd like to do is obtain the branch lengths that correspond to these tip edges." 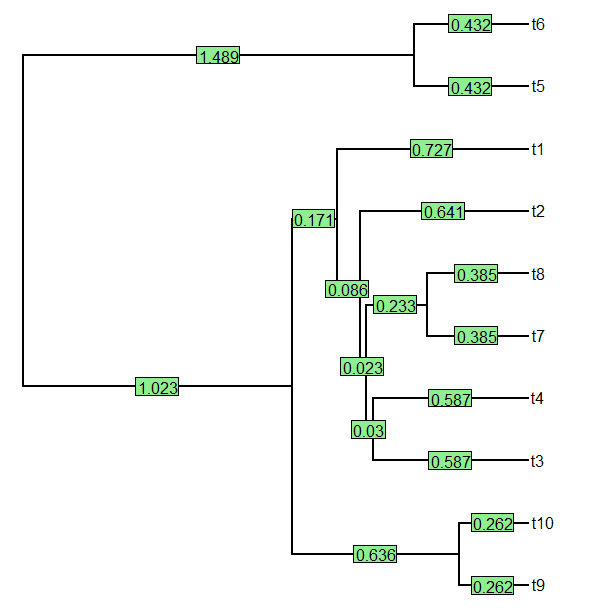 We get a vector with all the terminal edge lengths with names set to all the tip names in the tree, so we can rearrange or select a subset of these tip lengths on that basis.